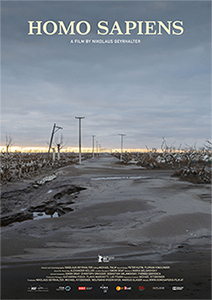 HOMO SAPIENS is a film about the finiteness and fragility of human existence and the end of the industrial age, and what it means to be a human being. What will remain of our lives after we're gone? Empty spaces, ruins, cities increasingly overgrown with vegetation, crumbling asphalt: the areas we currently inhabit, though humanity has disappeared. Now abandoned and decaying, gradually reclaimed by nature after being taken from it so long ago. HOMO SAPIENS is an ode to humanity as seen from a possible future scenario. 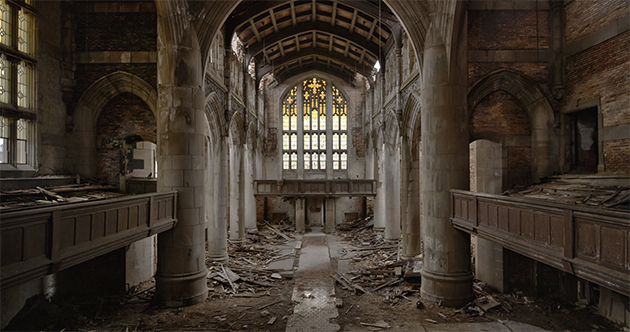 Geyrhalter’s films are nothing short of startling works of art. A spectacular visual essay composed of epic tableaus, a haunting vision of our modern food industry, and the methods and technology utilized for mass production. The Alberta tar sands, the world's largest industrial, capital and energy project has far-reaching environmental impact. An epic journey through voices and sounds from elsewhere. Landscapes, outlooks on the world, outlooks on life: Desert, snow, valley, jungle, ice, rainforest. An homage to humanity at the beginning of the 21st Century.